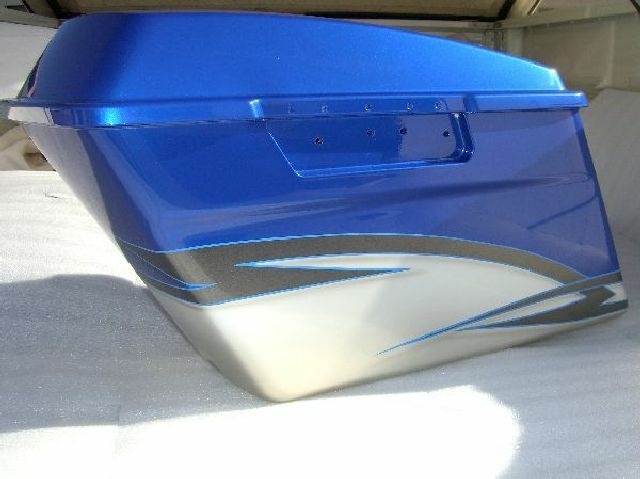 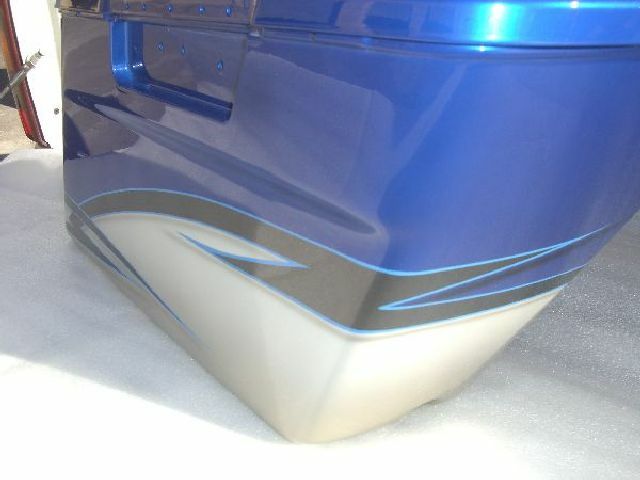 Blue and Champagne divided by a two tone graphic that is done in a sleek Charcoal designs pinstriped in Blue. 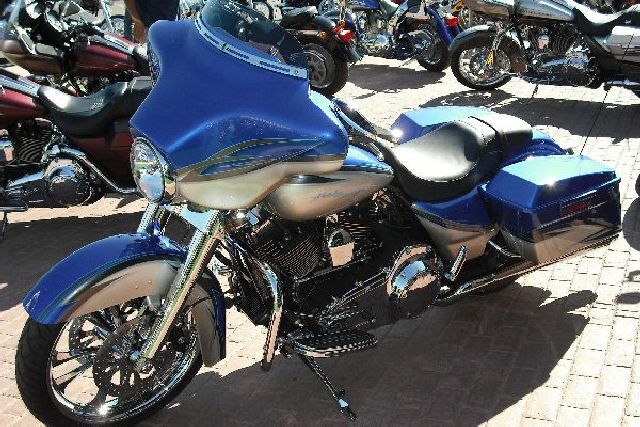 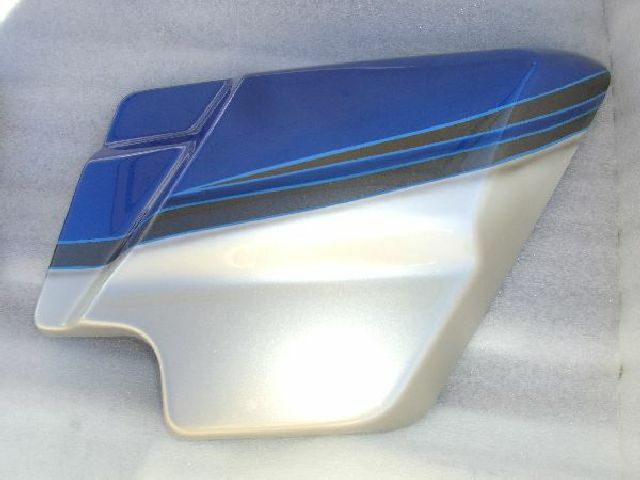 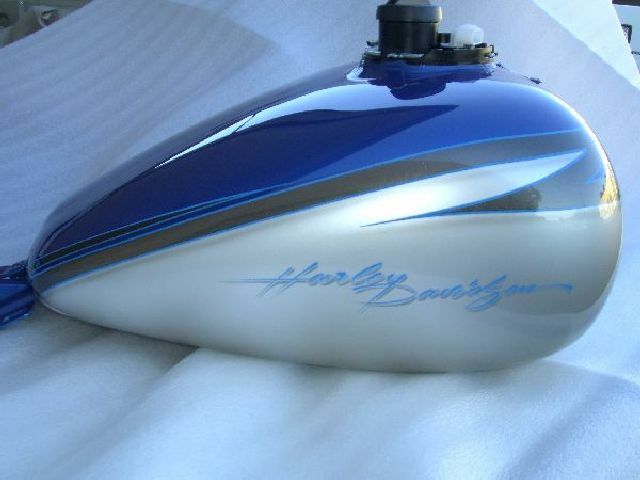 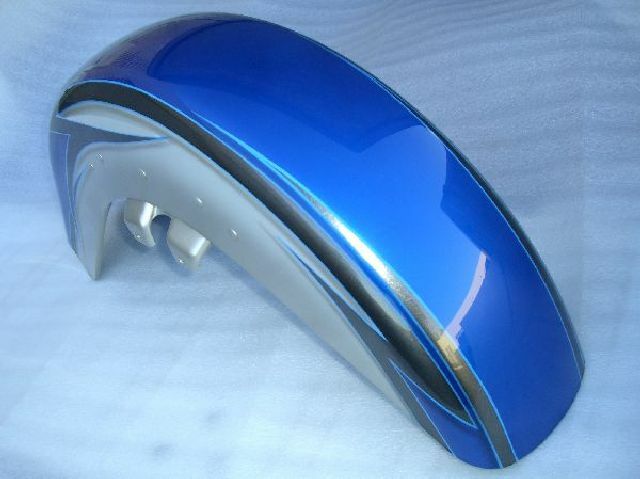 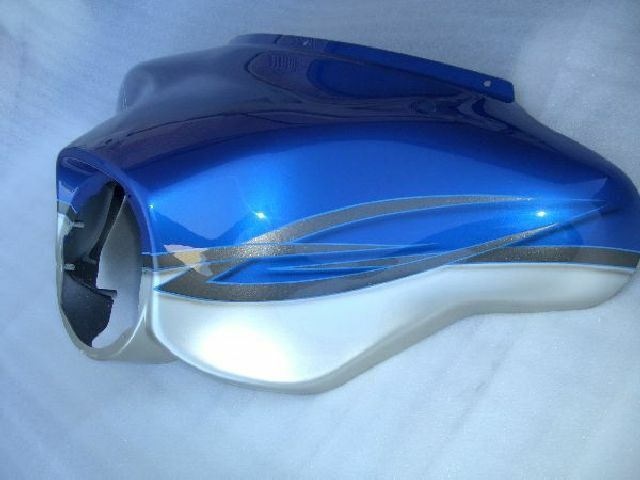 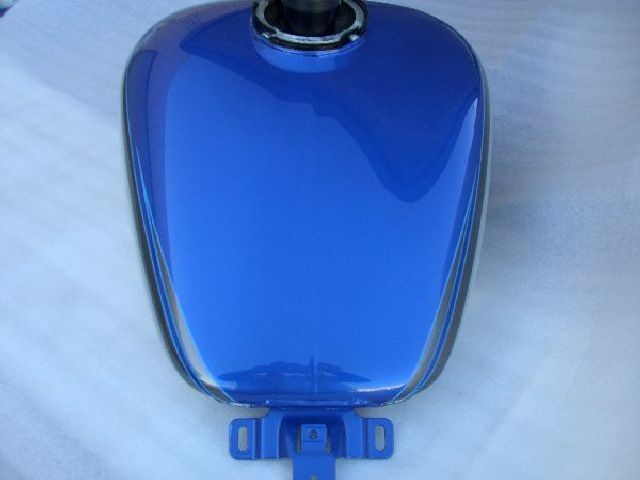 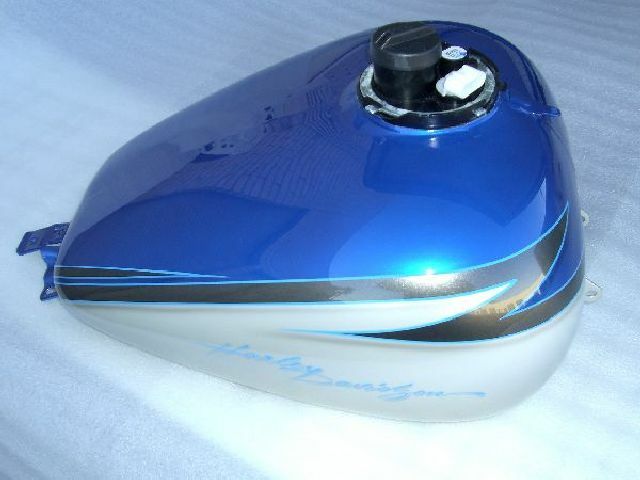 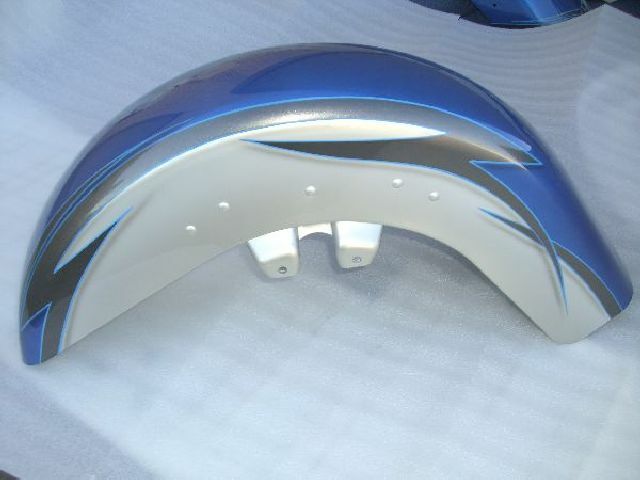 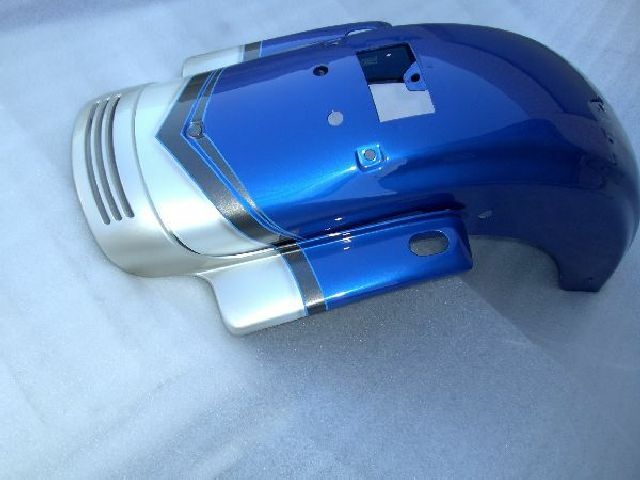 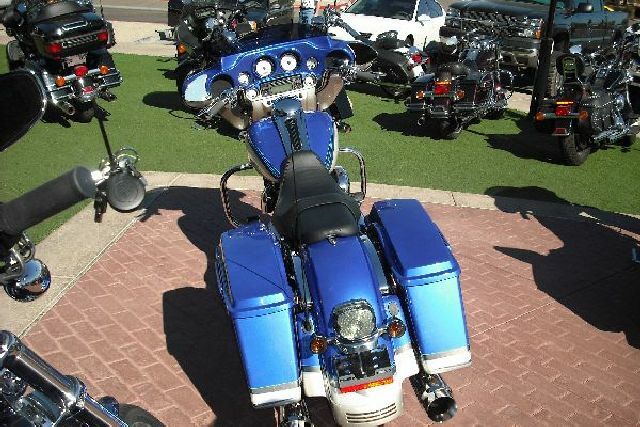 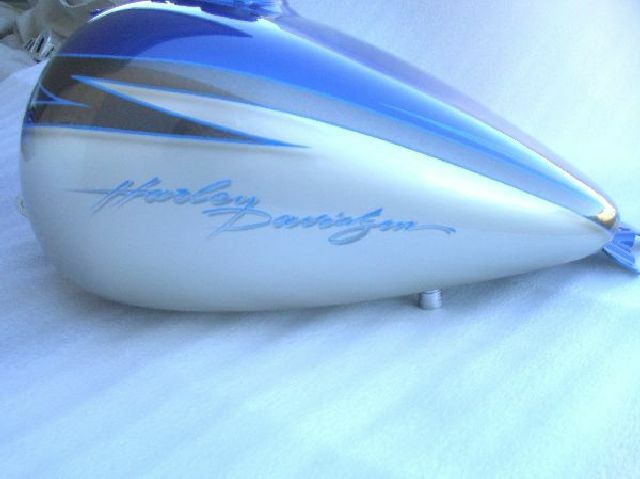 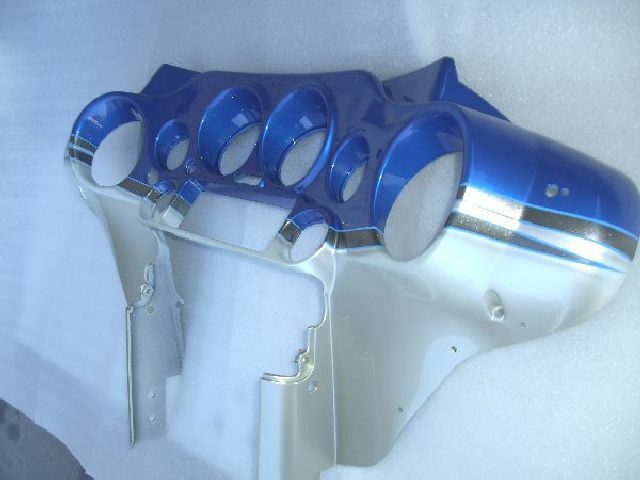 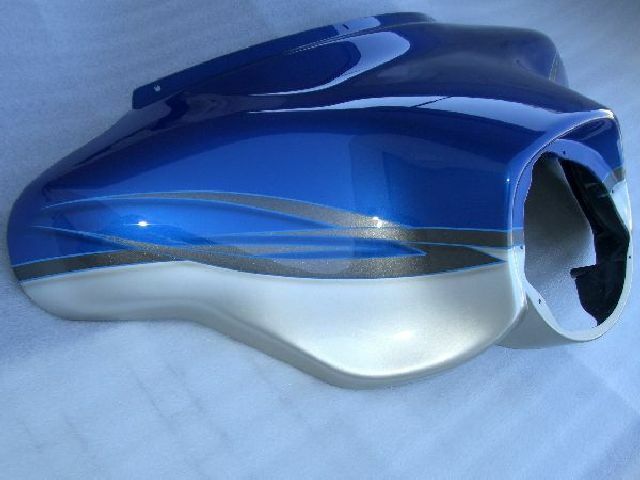 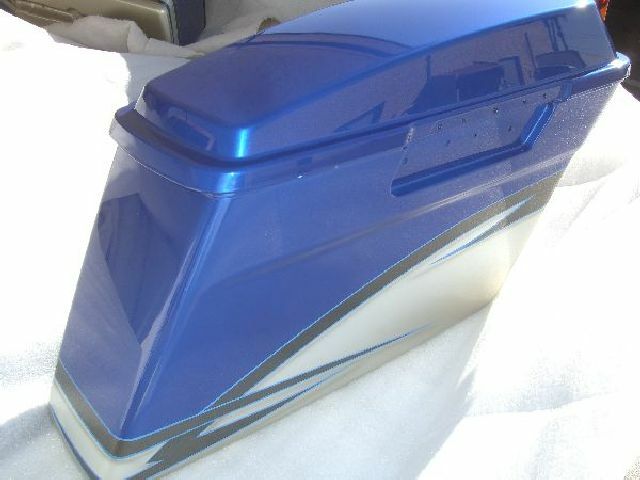 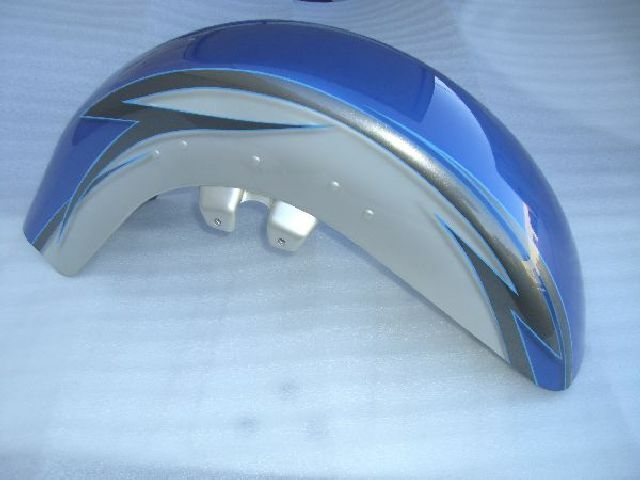 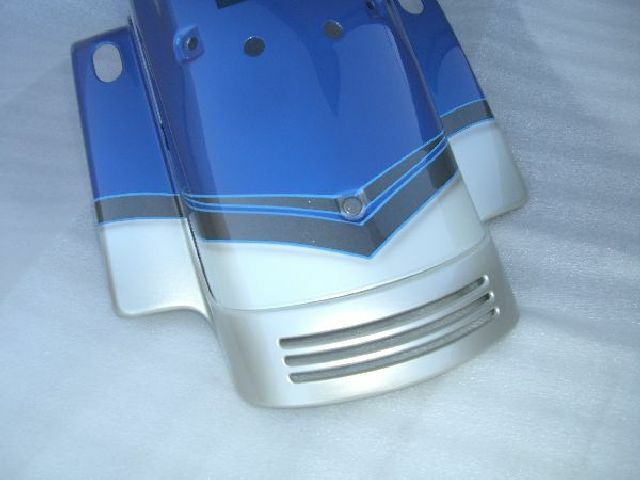 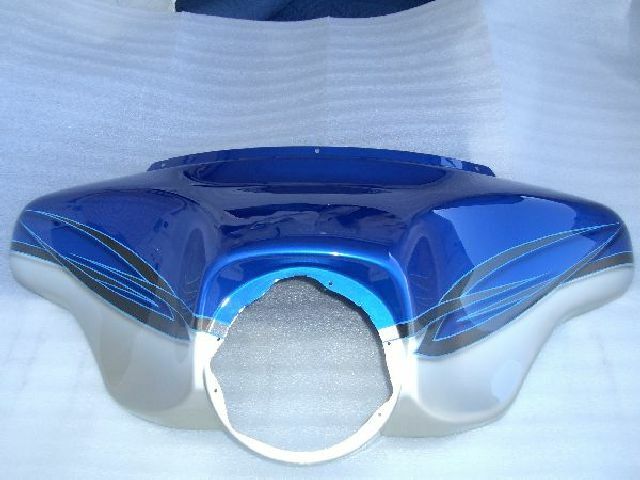 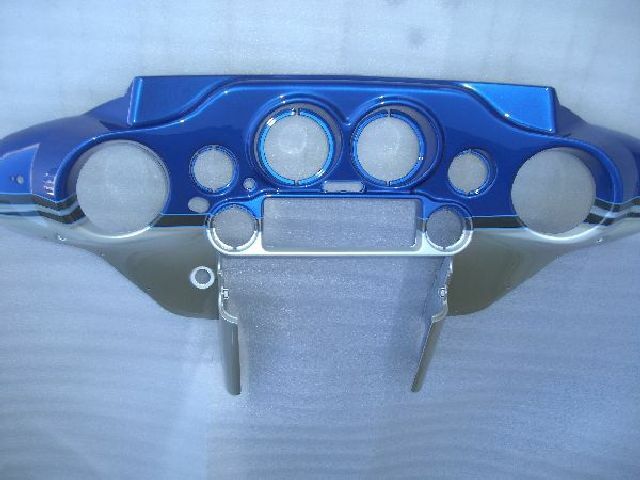 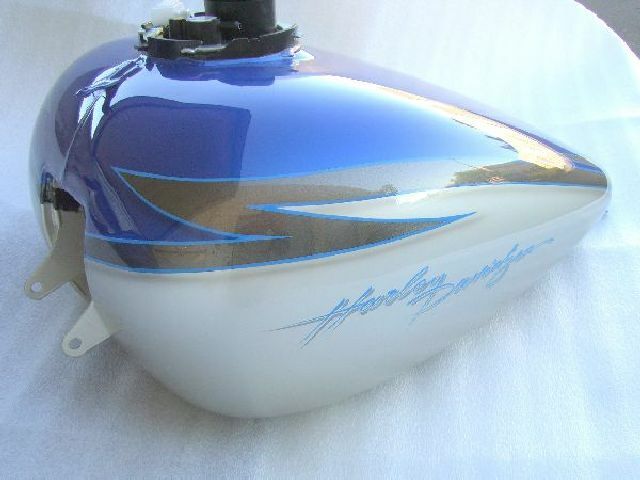 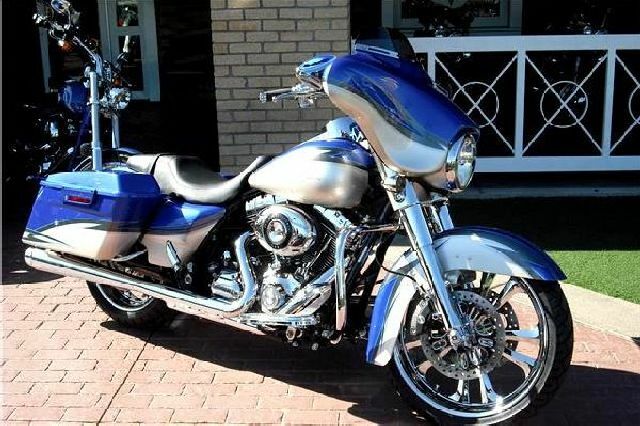 The top color is Blue while the bottom is a classy Champagne that fades to a Pearl White This design flows easily with your H-D model and compliments all the right lines. 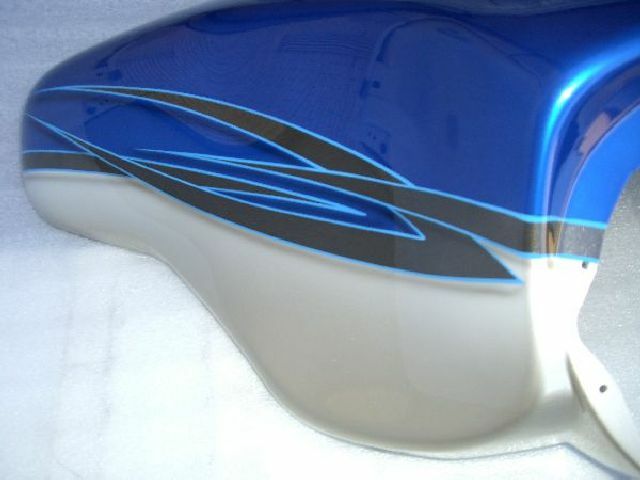 Blues not your color, no problem we can make any color work here top or bottom. 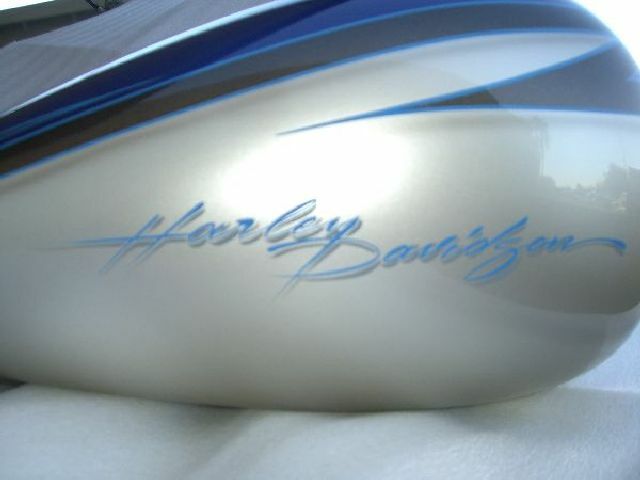 We can also do without the H-D script if you so desire. 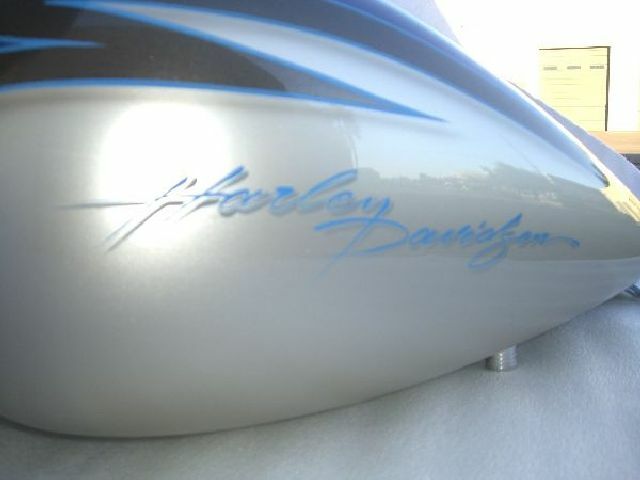 Keep in mind pinstripe colors can always be changed.